NEW HIT IN MALTA - available especially from us only! 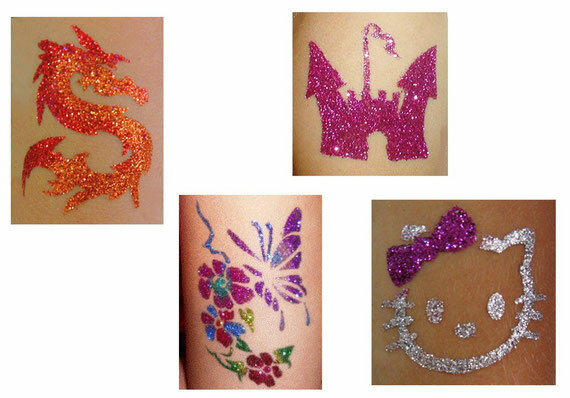 For a Party with a glitz and glamour, why not try our very funky Glitter Tattoos. We will create an exotic, dazzling, durable fantasy design for you and the kids, and you can chose from small flowers, bows, hearts and butterflies to dragons and lizards which can be applied to arms, hands, shoulders or ankles. 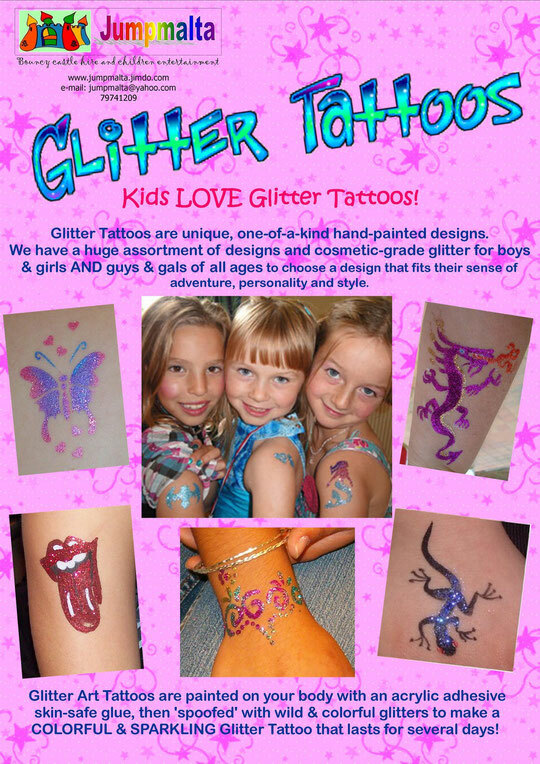 Once your multicoloured Glitter Tattoo is applied you can walk, dance and even swim with you as long as heavy friction is avoided. and a safe cosmetic glue-based gel.